We will use art and our senses to enjoy observing, feeling and becoming familiar with trees, leaves, and forest floor. 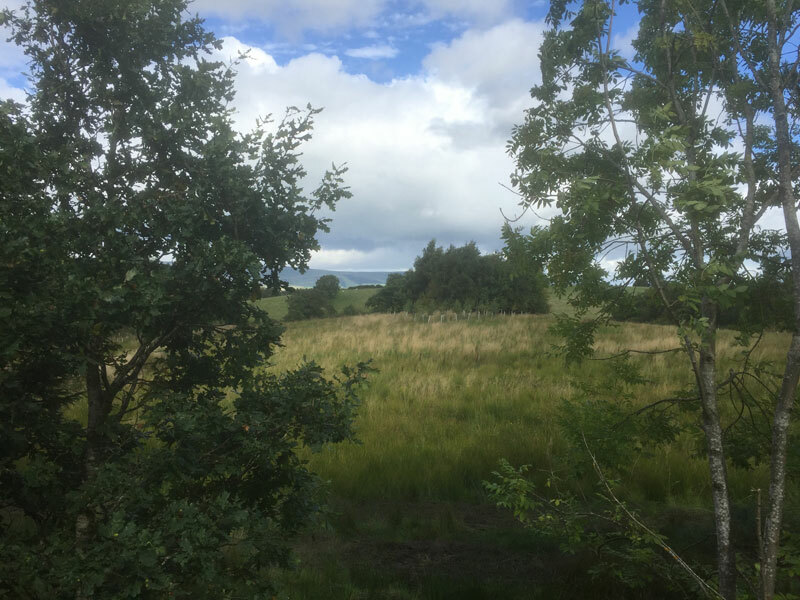 Working in the beautiful countryside outside Lenzie, near Glasgow, we will make sketchbook pieces and larger artworks in the indoor workshop as well as outdoors. 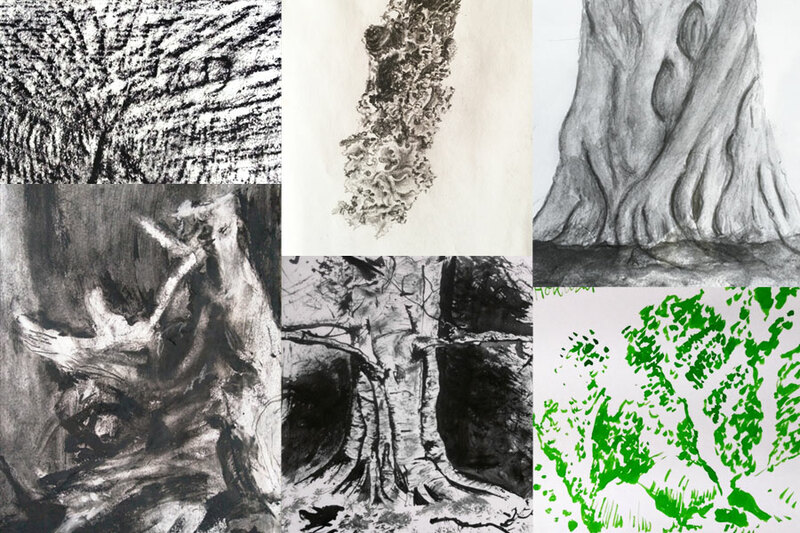 Looking, listening, touching, breathing, feeling, smelling, relaxing.. We will combine contemplative walking with rubbings and short sketches, collecting some small natural objects from the ground to work from and develop into some enjoyable large joint pieces on the workshop floor. Experimenting and finding different ways of drawing texture and pattern while engaging with the trees using our senses. Zooming in and drawing the details of bark or a leaf slowly will help us see new worlds within the forest we may not have noticed. And some more energetic free flowing drawing will interact with the dynamic of what we see as well as the feeling of being there. For inspiration and guidance we will look at images by artists, such as the beautiful marks made in Hokusai’s trees and foliage. Some of the methods and materials will be pens, charcoal, oil pastels, graphite pencils, colour with water based media such as inks, sometimes combining these to visually explore the trees. With demonstrations and friendly help from artist Blair Thomson, who has worked with forest and individual trees, using a varied range of materials and marks to express and interconnect with light, dynamic and texture. No previous experience of making artwork is needed and all materials are provided. There is a one hour lunch break – please bring your own food or some to share. Waterproofs, a midge net and outdoor footwear are recommended. Please contact us to book your place for this event.